Most of us gardeners peruse seed catalogues in the fall and winter. After checking out what’s new and interesting, plus covering the bases with our trusty standbys, we place our orders. At that point, all there is to do is await the arrival of our box full of neat little packets. Some folks stick to choosing seeds from spinning display racks in garden stores or even supermarkets. 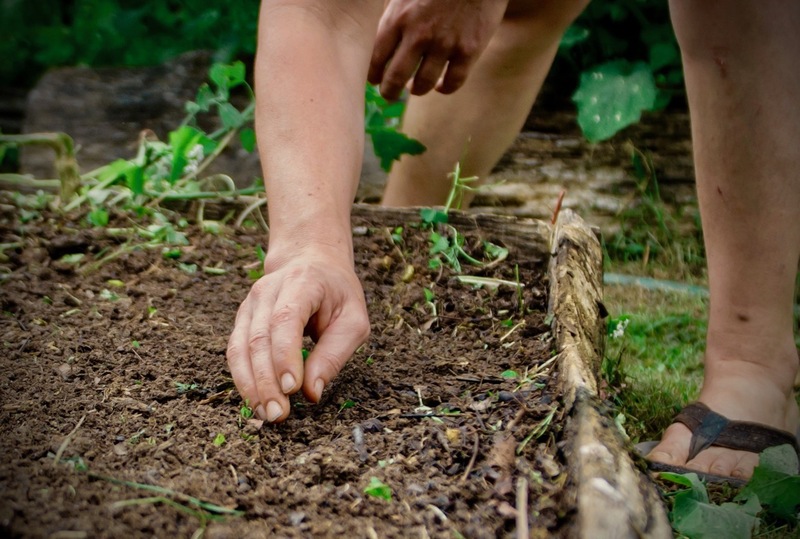 People all over the world have grown, harvested, processed, stored and re-sown seeds from their own fields and gardens for millennia. In many parts of the world, this practice is still commonplace. 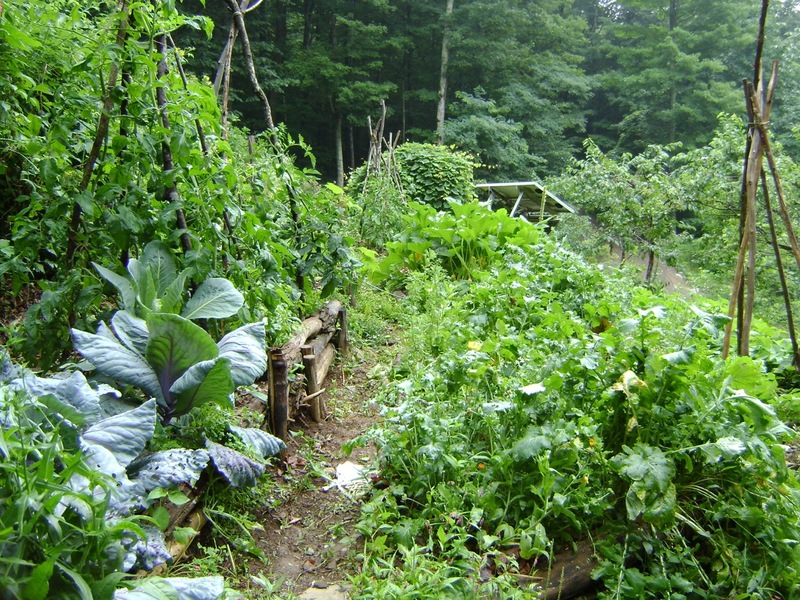 Consequently, home gardeners and small-scale farmers also acted (and still act) as plant breeders. Seed savers can select for characteristics that benefit their unique circumstances. 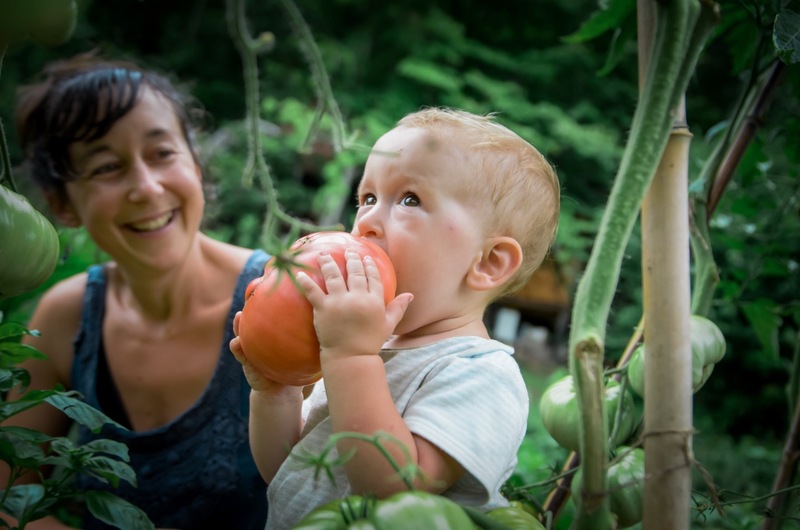 If you’re delighted with the array of colors, shapes, flavors and textures of all the myriad tomato varieties out there, you can thank the many generations of seed savers who made them possible. What to do with Hybrid and Genetically Modified Seeds? Hybrid and Genetically Modified (GM) seeds have no place in a garden-based seed web. In fact, both of these types of commercial-industrial seeds grow plants that aren’t able to reproduce themselves and still stay true-to-type. If you want to grow vegetables, herbs and flowers to save your own seed, steer clear of hybrids and GM varieties. 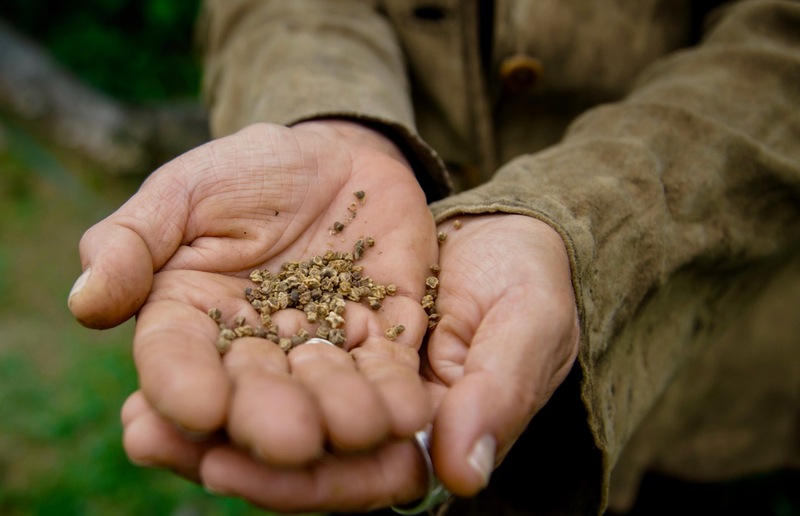 Only old-time, all-natural, open-pollinated crops are suited for home-scale seed saving. Why Save your own Seeds? Seeds you grow are free; they don’t cost any money. Seeds you harvest from plants in your bioregion become adapted to the local conditions over time. 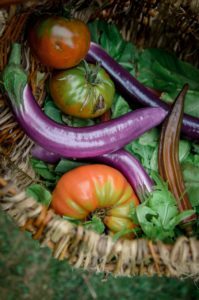 Many interesting, delicious and disease-resistant varieties of crops aren’t widely available in commerce; when you save your own seed you can be sure that you have access to the crops you want. On the whole, open-pollinated and heirloom crops are more nutritious and resilient than hybrid and GM crops. 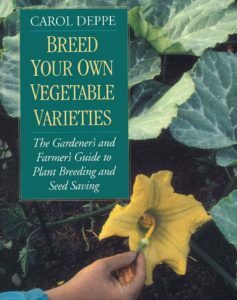 Oftentimes, industrially-bred crops are selected for characteristics such as uniformity, ease of harvest by machine, ability to uptake lots of synthetic fertilizers, and other things that you probably don’t need or want in your garden veggies; home-grown seed can be selected for the traits and characteristics that you want. 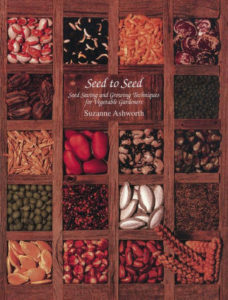 Saving seed competes a cycle and more deeply connects you with your garden, your food and the seasons. 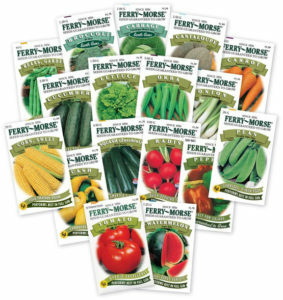 Homegrown seeds are a fantastic gift and trade item! To begin seed-saving, there are a few basic botanical concepts you need to understand. Saving seed isn’t just about drying down a handful of seeds that will be viable next year. It’s about thoughtfully selecting for healthy, strong seeds that will grow the best plants for your garden. Some plants cross-pollinate with others of their species (“crossers”), while some pollinate themselves (“selfers”). This means that if you save seed from a crosser that was grown in proximity to others of its species, your seed will be a cross and not necessarily true-to-type. If you save seed from a selfer, that seed will yield a plant just like it’s parent. It’s important to note the distances that crossers need to be isolated from each other in order not to cross (see resources below for this info). Your neighbor’s garden could be well within range of pollinators, meaning thanks to the bees, your plants will cross with theirs. Healthy plants make healthy seeds. While it’s tempting to harvest the most beautiful, biggest fruits of whatever you’re growing to serve up on the dinner table, those are actually the best to save for seed. If you only save seed from puny or weak plants, you will be selecting for those qualities. To ensure optimal vigor, you must save seed from a large enough population. Plants experience the degradation of inbreeding just like animals do when a population size is too small (optimal population size varies widely depending on the crop). If you don’t have space to grow out seed from the ideal number of plants, find a friend who wants to grow seed, too, and pool your harvest. Two garden favorites that just happen to be selfers – and ideal for beginning seed savers – are lettuce and tomatoes. Lettuce seed is ready to plant as soon as it’s mature and easily flies from the parent on its feather-like fuzz. Tomato seed needs to be fermented in water (left out in a cup, jar or bowl of water for a few days) to remove its slimy coating, then rinsed and dried for storage and/or planting. Another great advantage of saving seeds from these two crops is that you can eat them and save their seeds! A more in-depth look at not only seed-saving but plant breeding.